Please note: This ebook is currently being re-written. This version contains some broken website links and as such has been reduced in price. The purchase of this publication also entitles you to a free copy of the new edition, due for release in November 2019. A template for your selection criteria. Be told what you should write about and how you should do it. Powerful techniques that outsmart your competition. It doesn't have to be as hard as it seems. Let me show you how. My name is Vanessa, and I am a government recruiter. If you're in a situation like I was when I applied for my first government job, then you're probably just realising how time consuming and energy draining writing a government job application can be - especially when it comes to addressing selection criteria and core capabilities! I quickly realised that if I wanted to get the job of my dreams I was going to have to put some serious effort into my application. I dedicated 6 hours to my selection criteria, and I got my job, which ironically was in government recruitment. I was lucky though. When job advertisements attract an average of 40-50 applications, you only have a 2% to 3% chance of winning a job that you apply for. But, what if I could dramatically improve your chances? I have spent over 10 years as a professional recruiter, I sit on selection panels across Australia every week for various government departments, and I know what applicants do right, and what they do wrong - most of the time without realising it. Most applicants spend twice as much time as they should on their applications, and end up with something that's only half the quality that it could be. In fact, if you've already started writing your statements against selection criteria you probably already know how much time and frustration you've wasted just trying to get started. And if you don' t do it right, you could lose the job to someone else, the better application writer, even if they aren't the best one for the job. I am sick and tired of seeing great applicants with fantastic potential waste their chances. Even more frustrating is knowing that it's really not that hard to write a great application! You don't have to labour for hours on your application, not like I did. You can write an application that will knock the panel's socks off, in half the time you thought it would take. How? I've written down a strategy, and created a plan for you. In this guide, I've come up with a formula that can lead you in five easy steps, from a blank page, to winning statements against the selection criteria, filled with powerful examples of the skills that you take for granted. The guide comes as a downloadable version which means you can purchase the guide instantly online and be using it in a few minutes. As we all know, applications have deadlines and sometimes when you need help, you need help straight away! But you need more than great selection criteria to win a job. There are cover letters, resumes, interviews and reference checks. Not to mention finding the job in the first place, and trying to make sense of the confusing world of government employment. I've covered it all in this guide, and update it every year to stay on top of changes. All of our products come with a 30 day money back guarantee, so if it doesn't help you, you haven't wasted anything. All the best with your job application, and I hope that the principles that you learn will enable you to "get that job." "Stop wasting time on your selection criteria. Give yourself an advantage over the other applicants!" How to unlock your potential and revolutionise how you think about selection criteria. Why most applicants don't target their applications and how you can. Step by step guidance on writing enticing descriptions of what you can do, and what you can offer. The five steps every applicant should take to end up with selection criteria that will get noticed. How to address core capabilities, competencies and capability frameworks. Why the old selection criteria models (STAR, CAR, SAR, PAR) don't work. New trends in selection criteria and government requirements, and how to address them. The top mistakes that applicants make, voted by real selection panels, and how you can avoid them. Why most people undersell themselves and how you can be a self-marketing guru. Comes with access to application templates for GREAT looking applications. How to anticipate interview questions before you even get to the interview. How to use body language in your interview to influence the selection panel. Where to find every permanent government vacancy (there are over 3000 new ones a week). How to unravel the mystery of government recruitment and turn from a loser, into a winner. ... plus over 200 more pages of advice, examples and answers that will put your application on the top of the pile. Nearly 300 pages of powerful information to ensure your next application is a winner. How is working for the government different to working for a "normal" company? Why are their recruitment processes so different? What can you expect at each stage of the government selection process? There are over 3000 new government jobs advertised every week. Do you know where to find them? Learn where all the positions advertised for federal, state AND local government jobs, temporary and permanent. Didn't see it advertised in the paper or an internet job board? This guide will show you where it is! Don't miss out on that perfect job because you didn't see it advertised! You'll be given an easy to modify cover letter template, perfect for any application. Plus learn what kind of resume is expected - it's very different to what you might be used to. Could you be including the wrong information in your resume without knowing it? Or are you spending too long on your resume when there are other areas of your application that you should be focusing on? Also, find out how to help your referees to help you. You can actually influence your reference checks more than you think. You will be lead step by step through the writing process for selection criteria, competencies and capability frameworks and will learn how easy it is to apply core principles to write against any selection criteria or competency, and to talk to the employer, in the employer's language, about what the employer wants. This book is a must have for anyone who has to address selection criteria or competencies as part of a job application. It provides ground breaking advice on what works, and what doesn't when writing selection criteria and applying for a government job. This guide has been written by an insider to educate you about what is really required, and how to master your statements against key selection criteria. I have picked up lots of books about writing resumes and doing selection criteria, but Get That Job was the only book that showed me what I should write. Everything else was full of theory and fluff. I was looking for something that would tell me what to do and how to do it and this is exactly what I got. Not only did it help me write my application but I also got the job which I applied for, which I think is largely thanks to your publication. I recommended your publication to two internal applicants and was astounded by the quality of the applications they submitted! We will be recommending it to others and would like to use your advice on our next internal application writing course. QLD Government Human Resources Department, (name withheld for privacy). I had this book recommended to me at an internal seminar I went to about applying for government jobs. I got a copy of it yesterday and I learnt more in ten minutes than I did in the whole three hour seminar! I've already started my application and am really excited about how my selection criteria are shaping up. I will let you know how I go. I just wanted to drop a quick email to let you know that I got an interview after following your selection criteria writing advice. This was my 20th application - I wish I'd found your publication 19 applications ago. Thankyou and I will be recommending your books to others. After reading this book I found a job, applied for it (which this book made quick and easy), had an interview and got the job! If I hadn't stumbled across your website I'm sure I'd still be in my boring old job.Thank you! I've worked for the Victorian State Government for 10 years and thought I knew it all ... and then I found this website! I'm amazed at how many of my assumptions were wrong, and how much I didn't know at all. I purchased this book for my son, who had applied for a few APS positions but had not been successful. After following advice from this book, especially regarding interview preparation, he was successful in the next position he applied for. I have been employed myself in the APS for well over a decade, in various departments, & I have recommended this book to a number of people as a great guide. You can download the guide and get started now, risk free! 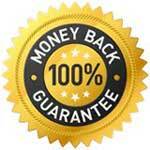 With a 30 day money back guarantee, you've got nothing to lose! We only want happy customers, so if this guide doesn't help you to write better applications we will refund the purchase price within 30 days. It's a risk free purchase that just could land you your next job! If you have any questions, please feel free to contact us via the details below, or through the contact page. 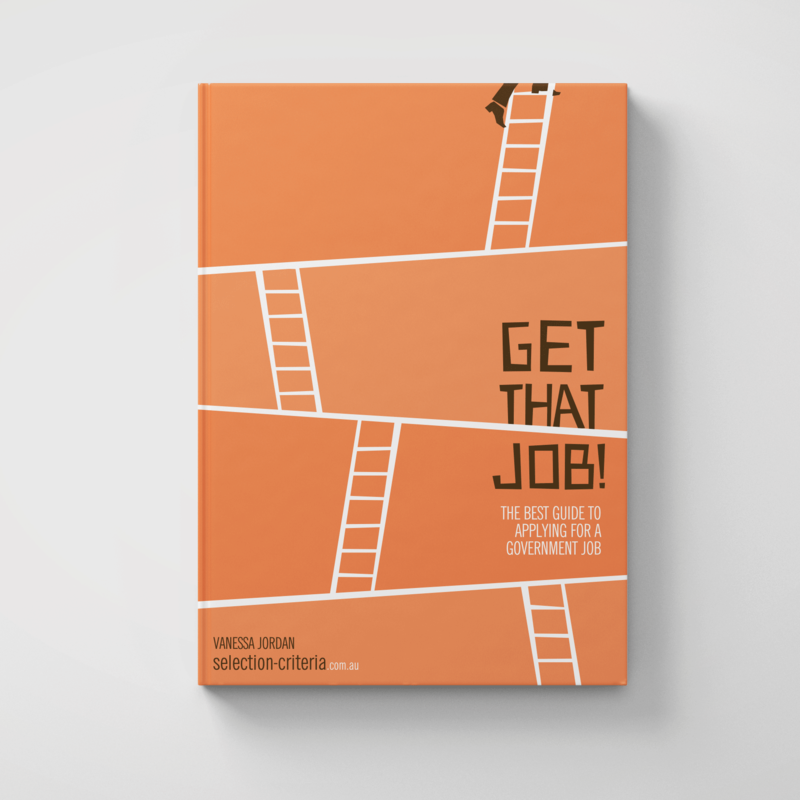 Be using Get That Job in less than 10 minutes! Our automated system serves you 24 hours a day, 7 days a week. and as such has been reduced in price. This ebook is currently being re-written. due for release in November 2019. Please note: This is an electronic publication and you will not receive a hard copy in the mail. Legislation governing employment in the SA State Govt. Legislation governing employment in the Tasmania State Govt. What are Work Level Standards?